Gru might not be the best father. But he certainly is trying. Universal has dropped a special Father's Day Themed preview for Despicable Me 3. And its pretty cute. Children and their fathers should get a real kick out of it. This latest Despicable Me 3 sneak peek has Steve Carell reprising his role as loving dad Gru. Sure he's just a super villain, but he's also doing his best to raise his children right and be a good dad as well. This video leans on a pretty classic scenario. One of Gru's kids is seen making a horrible tasting dish for her parent. Like a good sport, Gru tries to play along. This latest animated adventure for Gru looks like it will fall much more in line with the first two entries in the franchise and less of what we got with Minions a couple of years ago. 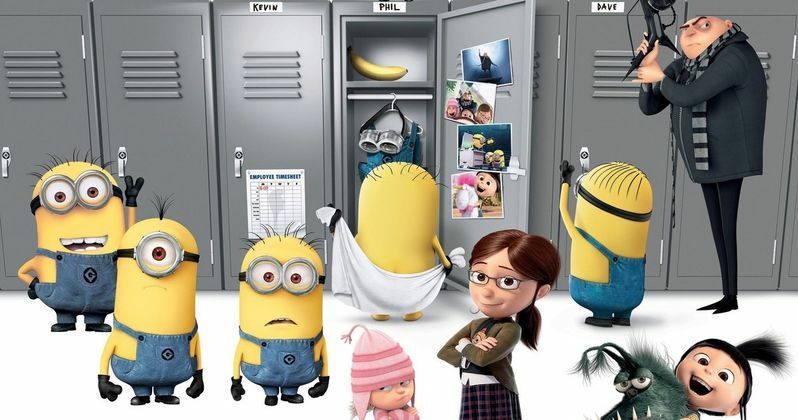 Universal certainly won't mind if the Minions are a model for the box office success that Despicable Me 3 may soon find, though, as that was a big hit. Universal isn't the only studio celebrating Father's day though. Fox has also dropped a great sneak peek at War for the Planet of the Apes. And this could wind up being the best movie of the summer. This spot highlights the loving relationship between Caesar and his son and the legacy that Caesar is going to leave behind. Will Caesar make it out of this movie after the war with the humans? That idea might make it hard not to get a little emotional watching this latest footage. Perhaps Andy Serkis will finally get that Oscar? Both of these movies should do very well for their respective studio. War for the Planet of the Apes is already getting insanely positive early buzz and could wind up capping off one of the best trilogies of the modern age. If not ever. As for Despicable Me 3, Minions aside, this franchise has done will critically and brought in tremendous money at the box office. In fact, Despicable Me 3 already opened in a couple of overseas markets and has brought in $10 million ahead of is U.S. debut later this month. So it's already off to a good start. But War for the Planet of the Apes could also be riding a wave of great buzz to box office success as well. Despicable Me 3 will arrive first on June 30 and, thanks to its family-friendly nature, could wind up being one of the highest-grossing movies of the year. War for the Planet of the Apes is set to hit theaters on July 14 and is going to likely be a box office success, as well as a possible Oscar contender later this year, if the buzz is to be believed. It could be one of those rare summer blockbusters with awards season potential. Be sure to check out both of the new Father's Day spots for yourself below.